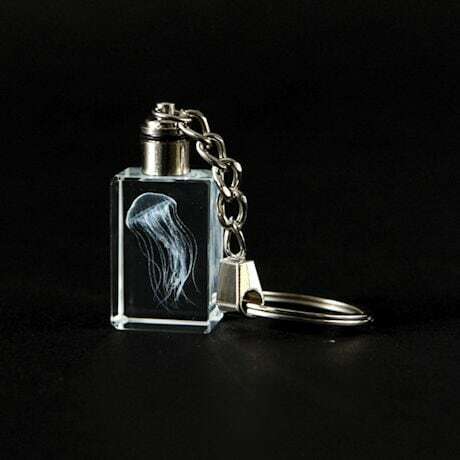 If you're mesmerized by the undulating motion of jellyfish at the aquarium, this keychain will keep you enchanted for weeks to come. A laser-etched sea nettle shape floats in the middle of a crystal-clear rectangle; a brilliant LED turns on with a twist, either illuminating the creature with a cool blue or shifting colors. 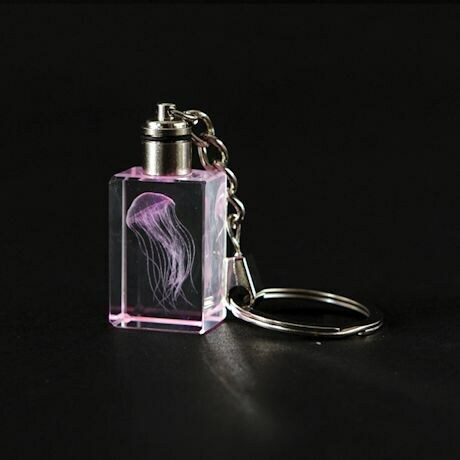 Made out of crystal and metal- with a LED Light. 1 1/8"H keychain.